The notoriously busy roundabout intersection of the A4119 and A473 required upgrading to accommodate nearby development. 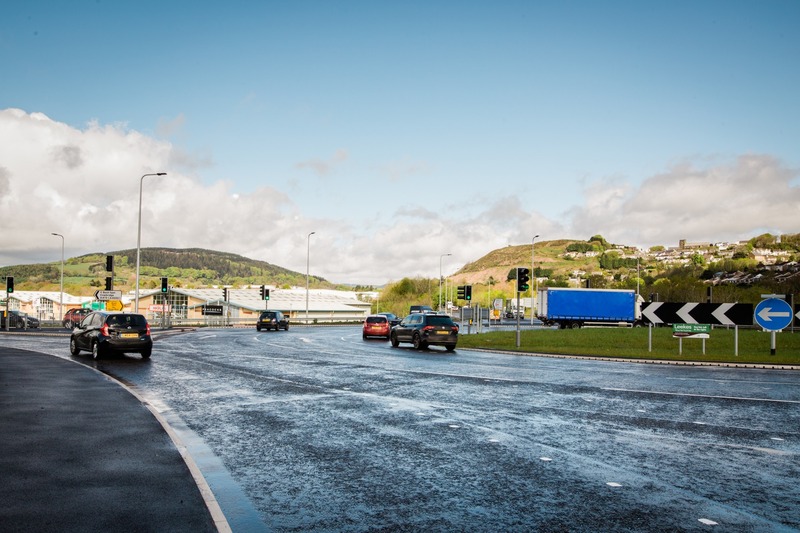 The improvement works comprised substantial traffic capacity increases to the roundabout approach lanes, adding two lanes to the north and one lane each to the south, east and west approaches. 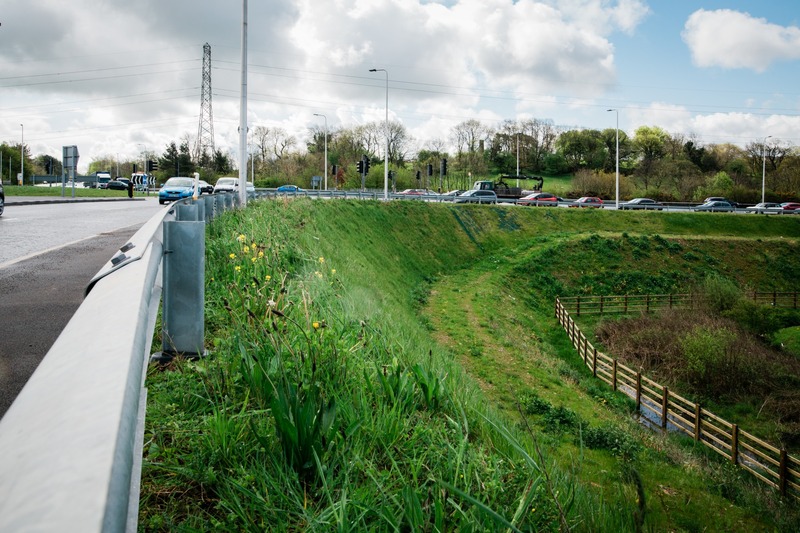 This challenging project was complicated by the relative elevation of the roundabout (in relation to the surrounding environment) requiring substantial widened structural embankments constructed on areas of extensive invasive weeds and poor ground conditions. The project also required the strengthening and connecting of two parallel road over river bridges with limited space, poor access and over a river. The contract was awarded to Walters following a successful competitive tender process, through the South East Wales Highways Framework. We worked with RCTCBC through an ECI phase to optimise the design of several elements of the scheme. Walters ensured a short lead in to capitalise on dry weather with the site team working efficiently and productively to complete the river work during low flow conditions. The project was completed in line with the temporary Flood Risk Activity Permit granted by NRW requiring control measures to ensure the works could be carried out safely, in an environmentally friendly manner and without risk of flooding adjacent land. A specific emergency incident plan was implemented to ensure the safety of the operatives working in the river that involved continual monitoring of weather and upstream river levels. The team worked closely with RCTCBC to ensure a high-quality finish in line with their requirements and advised on value engineering opportunities to reduce the overall cost of the project. Walters consulted with all landowners in the vicinity of the works to ensure minimal disruption, agree access to the works and rent land for temporary compounds. During the project Walters implemented several value-added engineering proposals, to reduce the cost and increase the sustainability of the designed scheme. For example, we significantly reduced the amount of lorry movements required during construction by substantially re-using material recovered on-site. 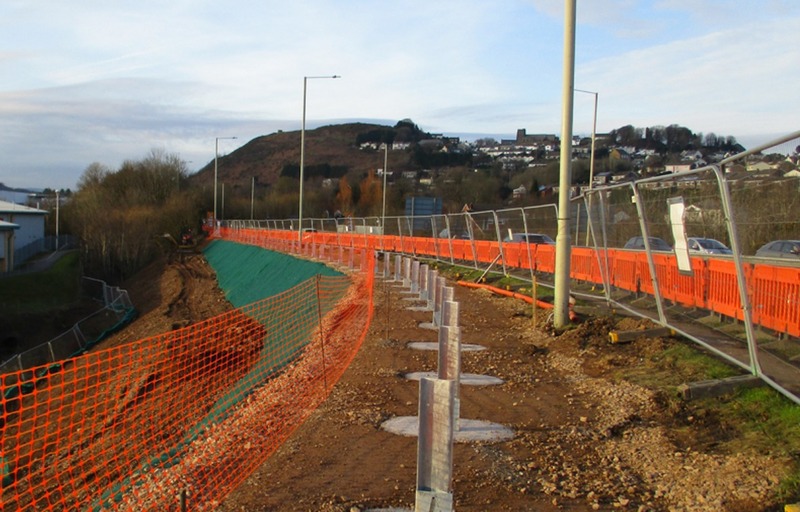 Drainage and attenuation work was completed, carriageways and footways constructed, before street lighting, signage and road markings put the finishing touches to the project. The “intelligent traffic lights” for the much-improved junction, (which sense traffic volumes and adjust timings accordingly). This concluded the project on schedule and under budget. Steve Dyton, Senior Engineer for Strategic Projects at RCTCBC commented “Walters UK were a pleasure to work with, providing an extremely professional service with a very proactive approach to contracting. I can confirm that the contract was completed within the time specified within the contract and within the contract value.